M. Night Shyamalan is one of the few Hollywood genre directors with a sense of pacing and physical space; with this big-budget sci-fi adventure he maintains suspense by revealing only gradually the full scope of the fantastic setting. 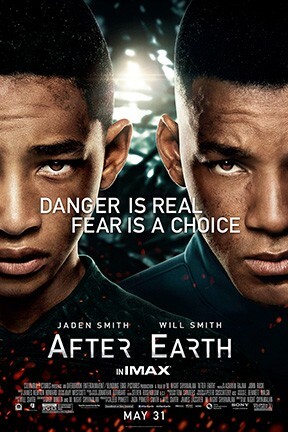 A few thousand years after the earth has become uninhabitable, a space commander and his son (Will Smith and his real-life son, Jaden, both wooden) crash-land on the dead planet and struggle to survive. Much of Will's dialogue consists of life lessons imparted to the boy, and they sound like a motivational seminar. After Earth and After Earth: The IMAX Experience are not showing in any theaters in the area.